Viginia Tech Debuts Helmet Ratings A day after we lamented the lack of objective helmet ratings, Virginia Tech publishes them. 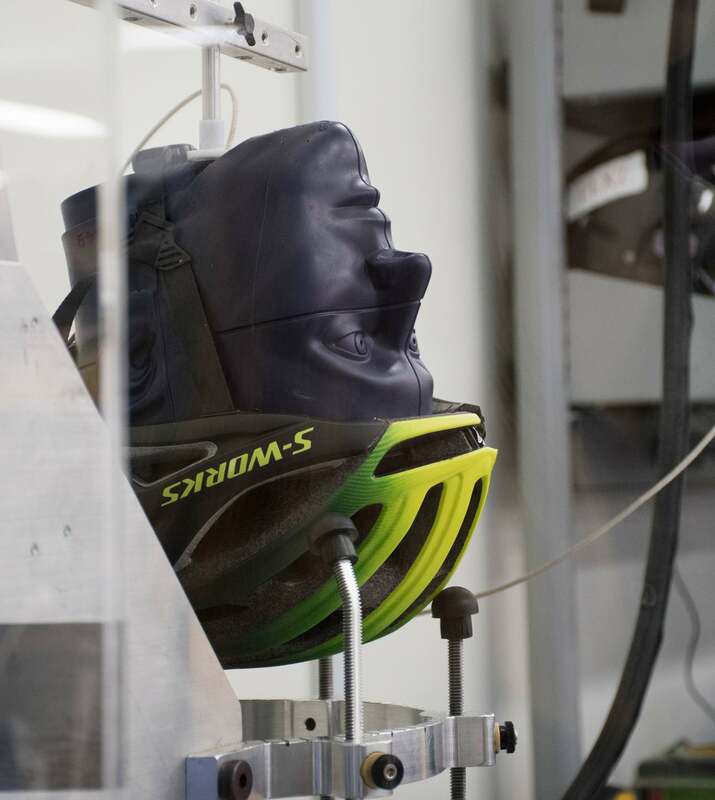 PELOTON’s story yesterday lamented the fact that there was no way to determine which helmet is the safest, or even a simple, objective rating system to help riders choose safer helmets, despite the eminently quantifiable testing available. That all changed today. Virginia Tech and Insurance Institute for Highway Safety launched the first ever third party rating system for helmet safety. 30 helmets have been tested so far, from popular brands like Bontrager, Specialized, Gior, Bell, etc . . . A possible five stars can be earned. Five stars is considered: Best Available, while zero stars would be considered: Not Recommended. Out of the thirty tested, none scored zero or just one star. 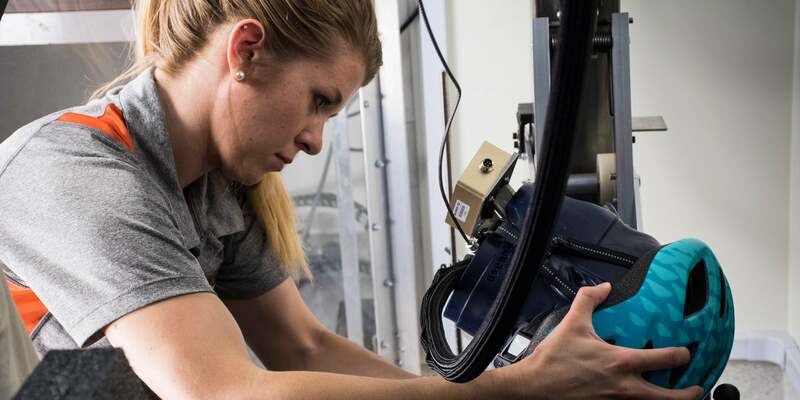 The Virginia Tech Helmet Lab goes beyond the CPSC test required for certification, since it is simply a drop test designed to ensure a helmet will limit skull fracture. The CPSC requires no testing to limit lower force impacts that can create concussions and long term brain injury. The standard also excludes oblique impacts, the kind that result in rotational forces and can cause significant brain injury. It’s these type of impacts MIPS is trying to reduce, and perhaps not surprisingly, all helmets rated five stars were MIPS equipped. Virginia Tech completes drop tests, but tests in more areas, including the rim of the helmet where many impacts take place and the CPSC standard ignores. They also test oblique impacts with 80grit sand paper replicating asphalt. A total of six locations are tested using head forms fitted with sensors to measure linear acceleration and rotational velocity, and the risk of concussion is estimated from those measurements. This protocol was created with input from the IIHS. The helmet rating system represents how effectively that model reduces overall injury risk. Trends are already appearing with these first 30 helmet tests. Road style helmets with elongated tails perform better than round urban style or commuting helmets. The lab will continue to test more helmets and update its resource with those results. A total of 835 bicyclists were killed in crashes with motor vehicles in 2016. That is the highest number of bicyclist deaths since 1991. More than half of those killed in 2016 weren’t wearing helmets. Helmet use has been estimated to reduce the odds of a head injury by 50 percent according to the Insurance Institute for Highway Safety. For the first time, there appears to be an objective, third party completing detailed testing that truly reflects real world scenarios and publishing those results for all to see. None of the 30 helmets were rated 1 or zero stars.